Whether you are looking for an electronic cigarette, a starter kit, e-cig batteries, chargers, atomisers, cartridges, clearomisers, tanks, e-liquids or e-cig vaporisers The Stop Smoking Shop offers a “one stop shop” online and in our retail shop. Since our first day selling Electronic Cigarettes in Dublin we have provided our customers with only the best branded devices and electronic cigarette e­liquids on the market.All of our Electronic cigarettes come with CE approval and our Electronic cigarette eliquids are all sourced within Europe therefore ensuring the highest quality possible.We work with Electronic cigarette eliquid manufacturers such as D.E.A, FlavourArt, Alternative Smoking, Enjoy Svapo, Perfume Apprentice, Kanger, Anyvape, Innokin, Cuttwood and more… to provide you with the best quality at the most competitive prices. 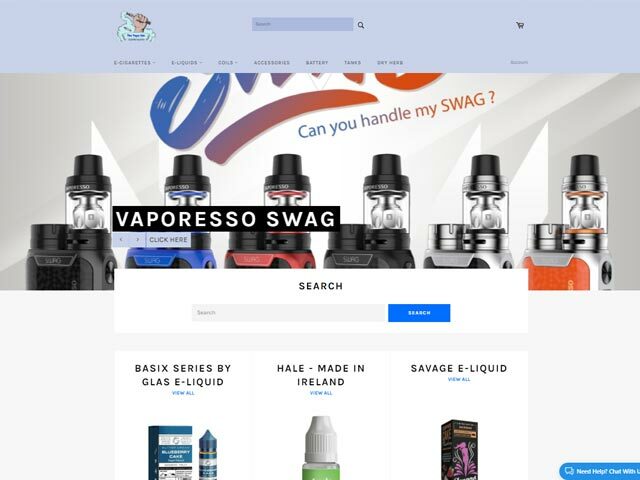 The Vape Life is a Dublin based Vape Shop established in 2017. They offer a variety of different e-juices from brands like Liqua, Aramax, Nasty Juice, Dinner Lady, Wick Liquor, King's Dew and plenty more. New Arrivals: Liqua 30ml E-Liquids only €7.99. Dekang 50ml E-Liquids only €9.50 Vape Freaks Ireland Electronic Cigarettes, online store delivering high quality E cigarettes, E liquid and accessories Worldwide. Electronic cigarettes or e-cigs are the perfect alternative to traditional cigarettes and Vape Freaks has the best e liquid flavours and e cigarette accessories around. Shipping Offer All orders include free nationwide delivery in Ireland as standard. 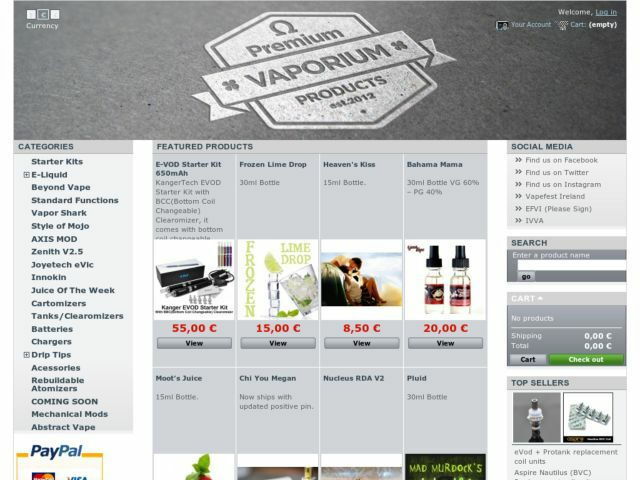 Vapeways is both an online and B&M store based in Portarlington, Co. Laois. Supplying top quality electronic cigarettes and vaping gear from the leading brands. 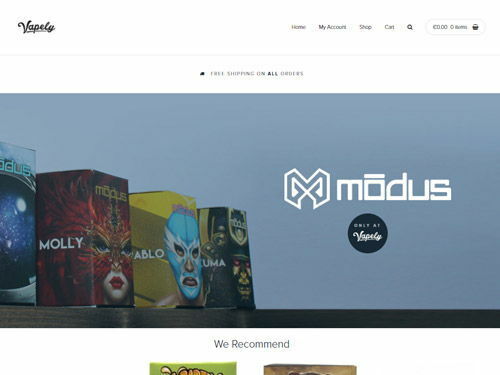 We are a new company, but by no means new to the vaping community. We aim to bring our customers the latest variety of products at the best possible prices. 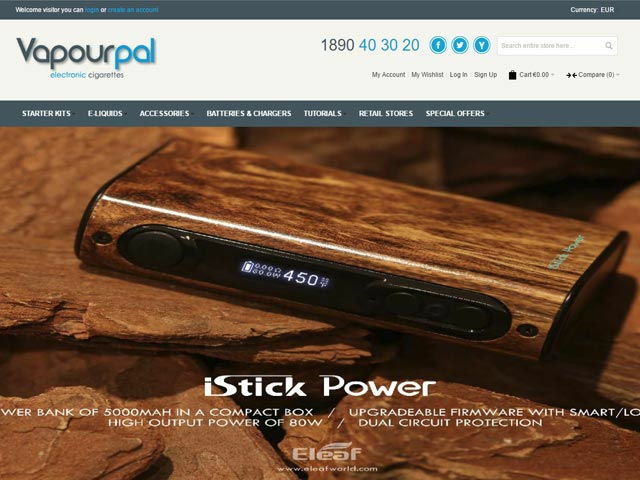 We are based in Thurles, Tipperary, Ireland and sell our Lead range with the guaranteed Knowledge and personal experience of Authentic products supplied by Joyetech, Kangertech, Vision, Smoktech and Dekang. We offer the best prices in Ireland for all of our Ecigarette Starter kits, e-liquids and accessories. 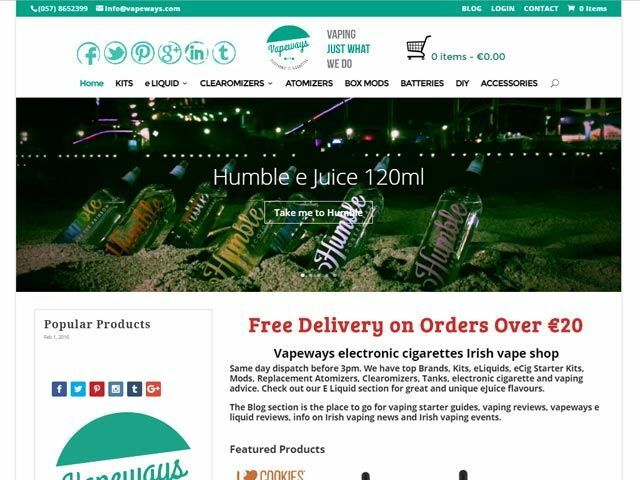 Vapourpal is an Irish owned and Irish based company. We specialize in electronic cigarettes in Ireland. 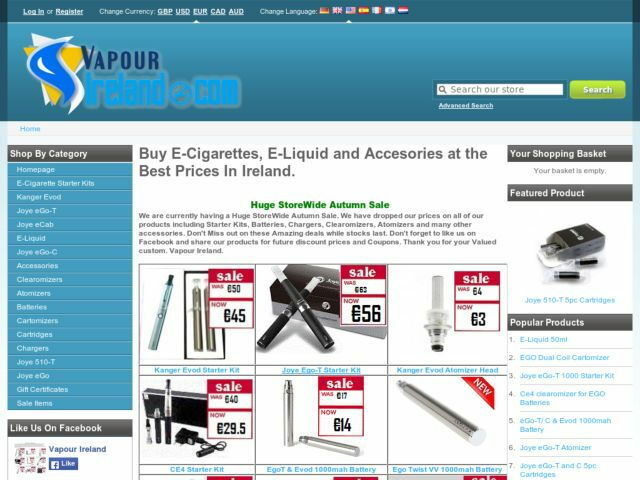 Vapourpal shops are located throughout Ireland, and we are happy to provide you with an introduction to the world of e-cigs. Our popular range VMIST e-liquids are manufactured in the UK using EU ingredients and are tested in testing laboratories to the highest EU standards. Joyetech is world renowned as being one of the top manufacturers of electronic cigarettes in Ireland, which is why we chose them as our partner. 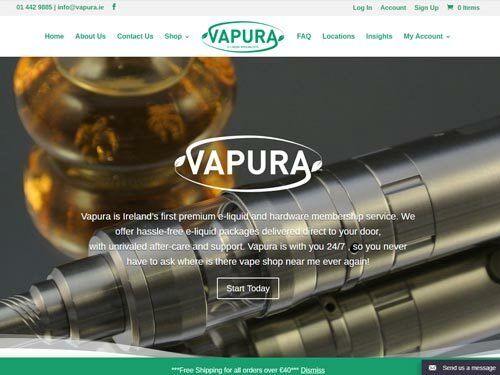 Vapura is Ireland’s first premium e-liquid and hardware membership service. We offer hassle-free e-liquid packages delivered direct to your door. With unrivalled after-care and support. Vapura is with you 24/7 , so you never have to ask where is there vape shop near me ever again!